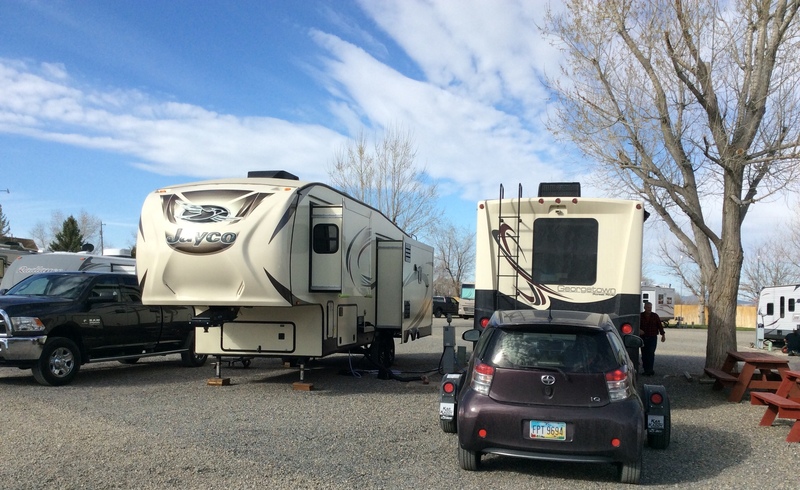 The Pony Express RV Resort in Salt Lake City is beautiful but we have to leave as we are already one day behind schedule. Port Orford, Oregon is waiting for us. But before we take off I need to show you some of the niceties here. 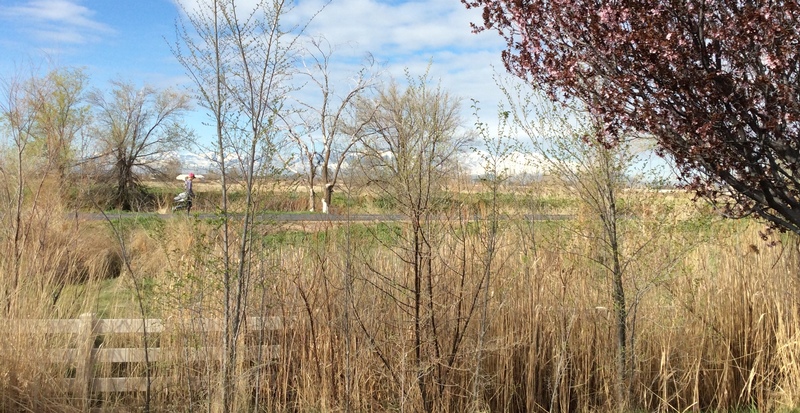 Each site has a paved pad, a grassy area, picnic table, and a flowering pear tree. 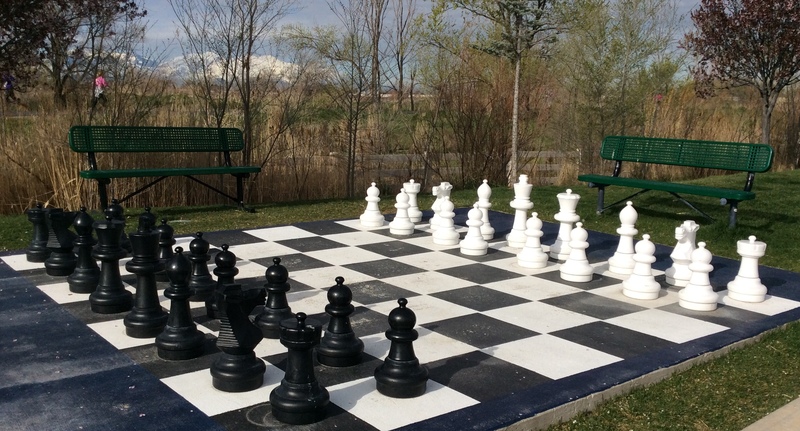 There are several fenced in dog areas, soccer nets, a giant chess game, and access to an over 50 mile running/walking/biking path. 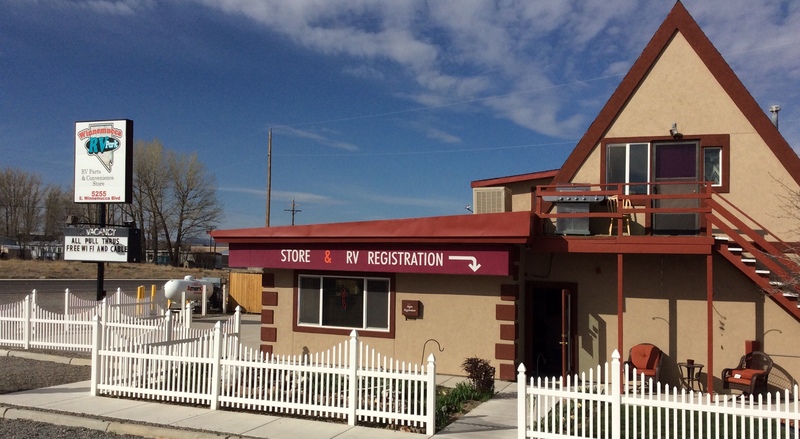 This RV Park is appropriately named a Resort. 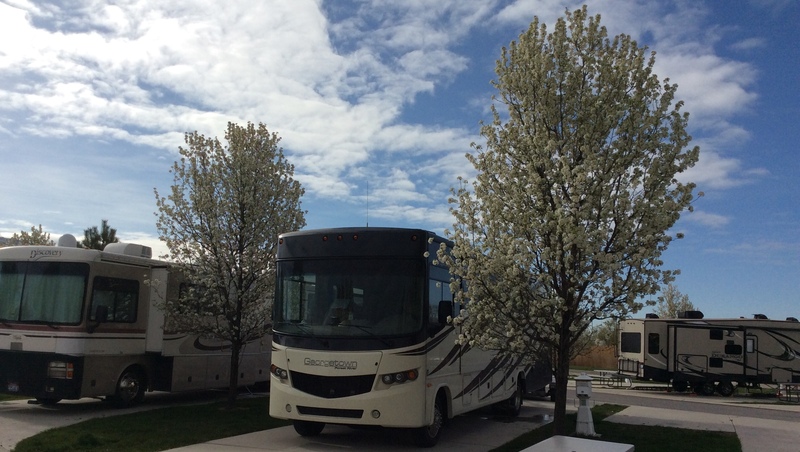 Most of the RVs here are new and in impeccable condition. 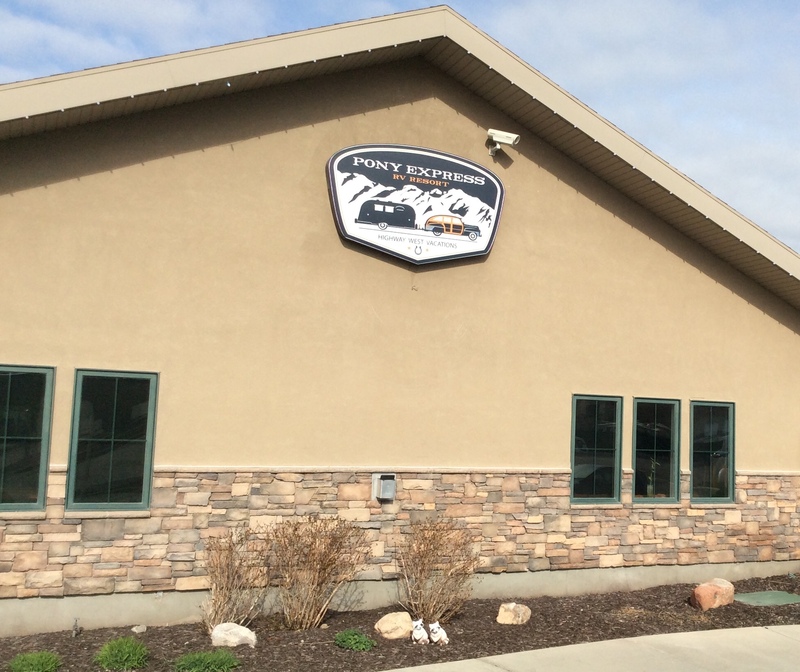 Our 2015 Forest River Georgetown Motorhome almost pales in comparison, especially with our shorn off awning. 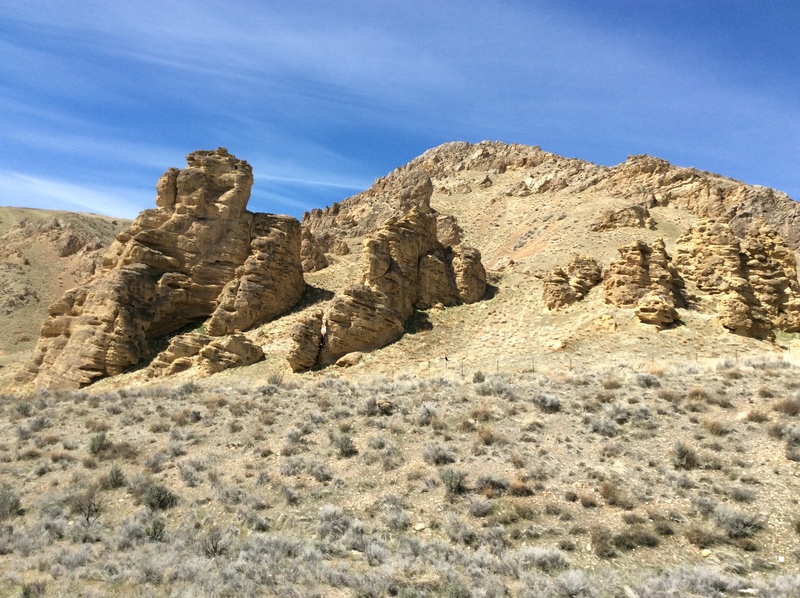 Today is just a straight shot west on Interstate 80 from Salt Lake City to Winnemucca, Nevada. 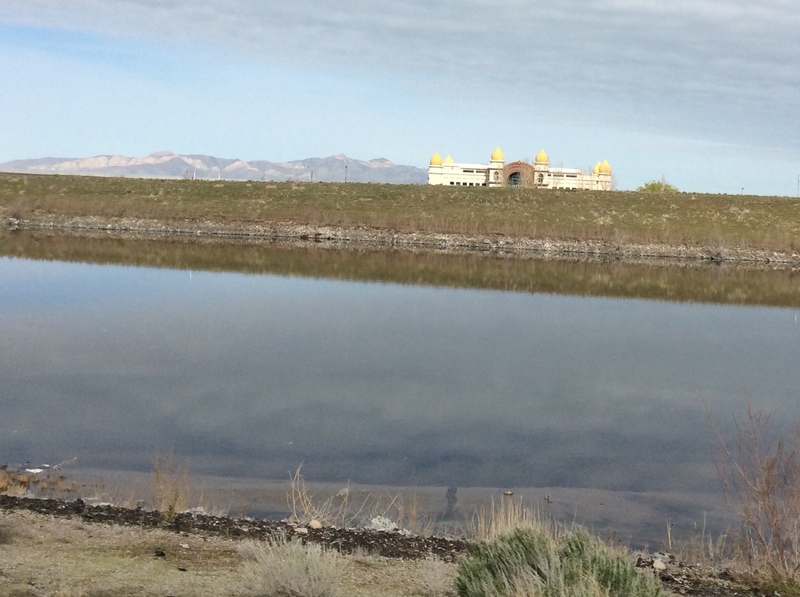 We cross the southern tip of the Great Salt Lake and notice this magnificent building. 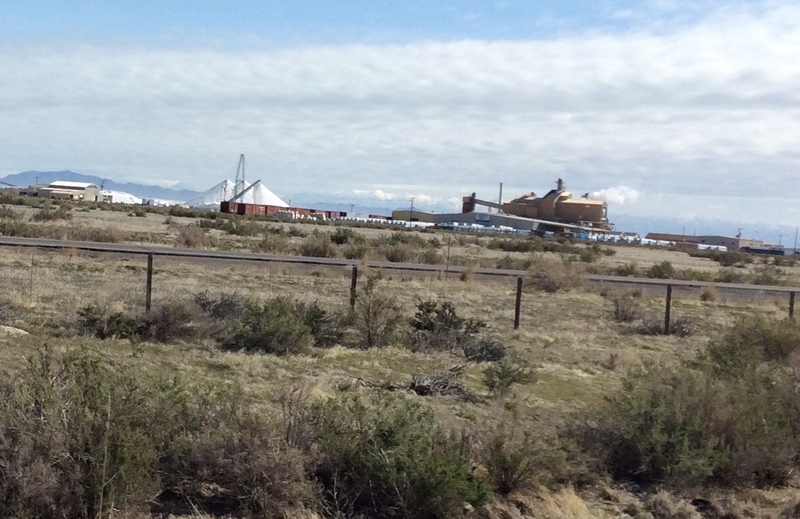 A quick search on Google identifies this edifice as Saltair, aka The SaltAir, Saltair Resort, and Saltair Pavillion. According to en.m.wikipedia.org, the building is a resort located on the southern shore of the Great Salt Lake in Utah, about 15 miles from Salt Lake City. In 1893 the Mormon Church and the Salt Lake-Los Angeles Railway jointly owned and built the first Saltair. The resort was a family place providing a safe and wholesome atmosphere supervised by Church leaders. Saltair was a popular and appropriate spot to take a date in those days. A young Mormon couple could conveniently take a train from Salt Lake City and spend the evening dancing, chaperoned by trusted members of the community. Besides a dating and dancing venue, Saltair was one of the first amusement parks, the western counterpart to Coney Island in New York. In 1906 the Mormon Church sold the resort. Then a fire destroyed the pavilion in 1925. Prominent Mormon investors built a new resort but the advent of motion pictures and radio and the interruption of the Great Depression competed with Saltair’s popularity. It’s huge new dance floor, however, recreated the resort into a dance palace featuring the likes of Glenn Miller and other traveling bands. More fires, receding lake waters, the Second World War, and other entertainment options closer to home forced the resort to close in 1958. Arson destroyed the second Saltair pavilion in 1970 but in 1981 a third Saltair was constructed a mile west of the original. 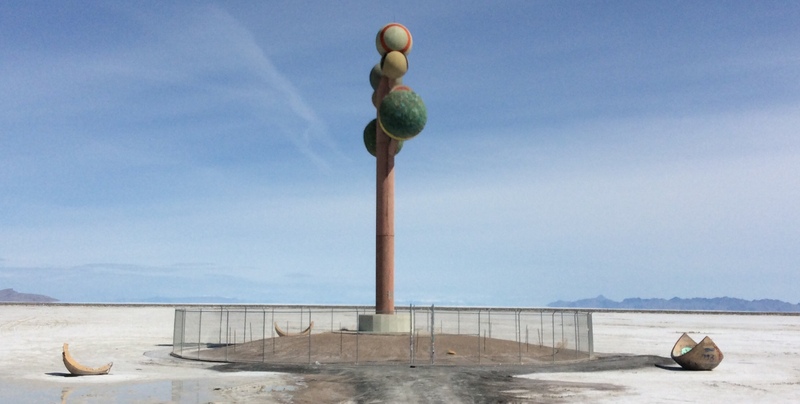 But once again the resort could not compete with other larger venues more conveniently located, until several music industry investors purchased the building in 2005 to hold music concerts of popular acts and it has now evolved into the Great Saltair. 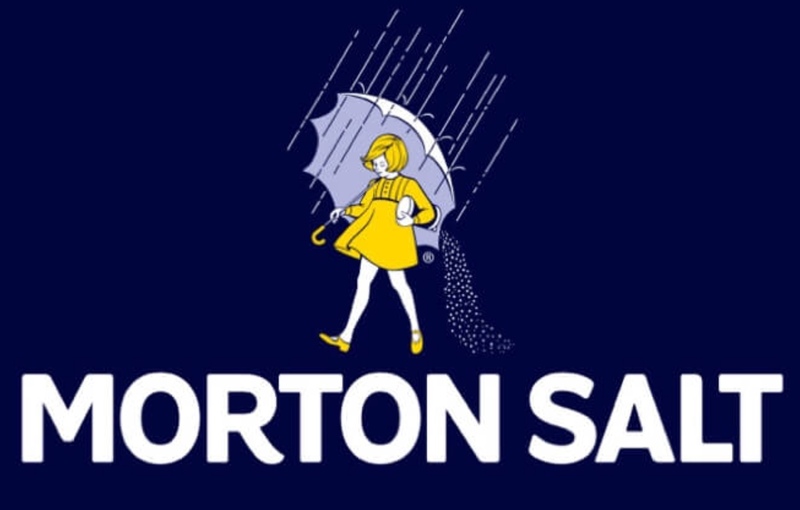 The Morton Salt Refinery… I wasn’t quick enough to get a good shot of the iconic logo so I circled it in the picture below. All along the drive you can see where people have stopped to spell messages in the sand with rocks and beer bottles. Then this sculpture pops up. So, there you go. Who would have thunk it? 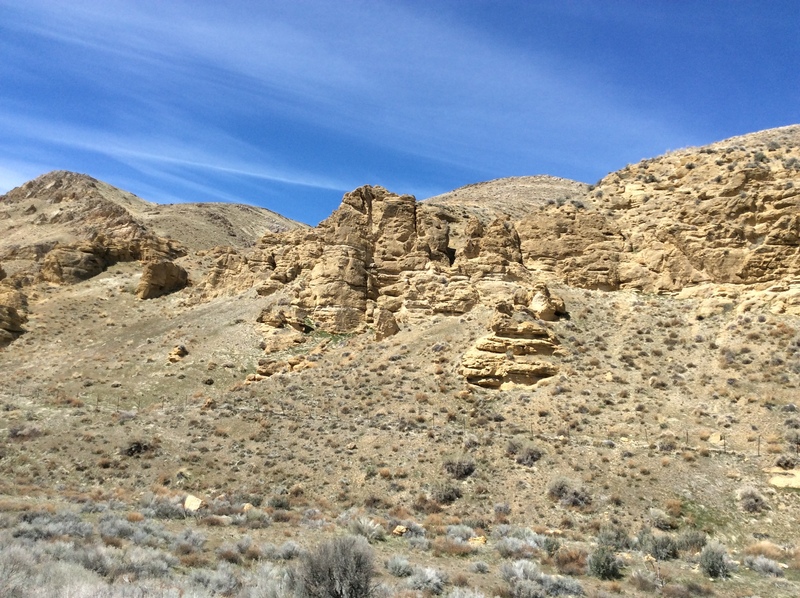 The Nevada border… Out of a desolate landscape casinos emerge and then disappear again. 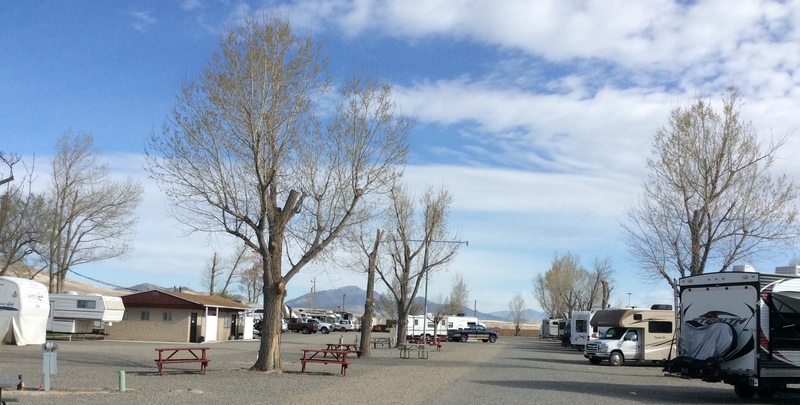 At the end of the day we pull into the Winnemucca RV Park. 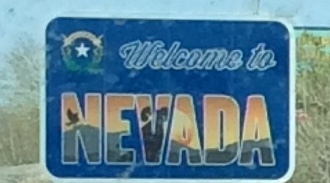 Tomorrow we depart Interstate 80, head north on I-95, and then continue west on Highway 140. ← Should We Go or Should We Stay?